Pour the hot coffee into the sugar, so that the sugar melts. Put the butter into the coffee to make it softer and more pliable. Add the rolled oats into a food processor and grind them up into a finer texture. Mix everything together in a bowl. If you have a powerful food processor then just mix it with that. 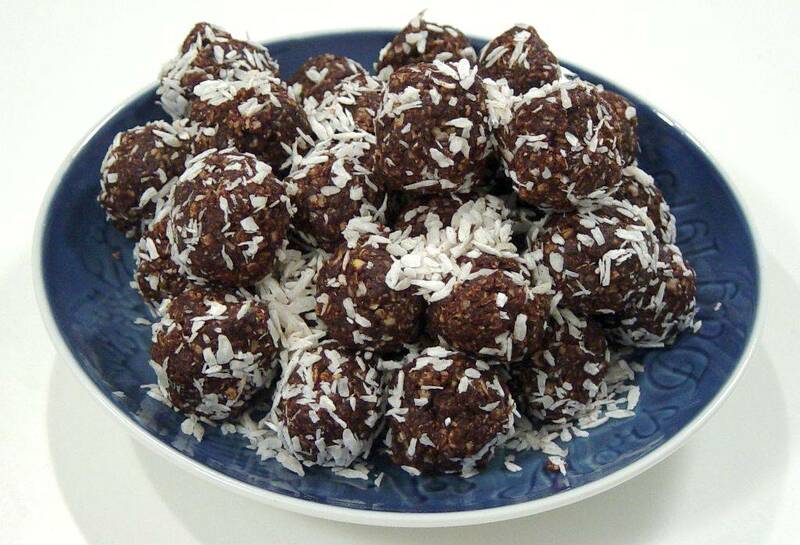 Roll the dough into small balls and roll them in coconut. 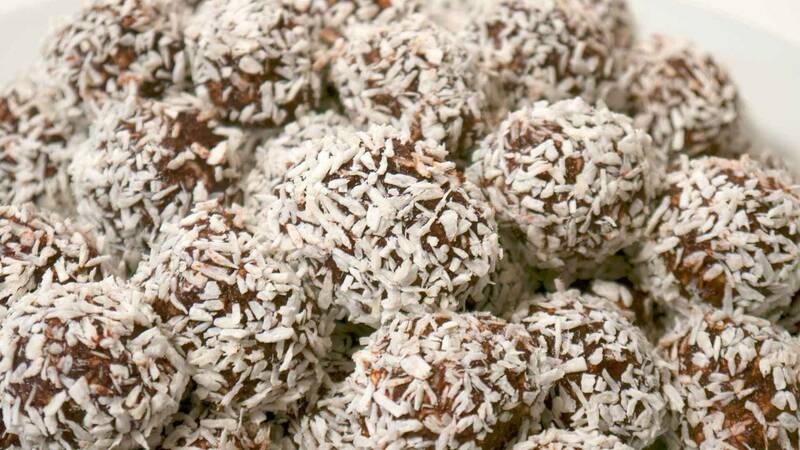 When you dissolve the sugar in the coffee, it prevents that there will be crunchy sugar grains in the finished balls. It is not strictly necessary to "blend" the oatmeal, but I think it gives a better structure and prettier balls. You can replace half the coffee with raspberry jam. That makes them taste a little more like the traditional danish leftover cake "Trøfler". I like that. The rest of the family is not so crazy about it. If you want a gluten free version you must be sure to get gluten free oatmeal. Oats do not contain gluten in themselves. But they often grow an fields where other grains have been grown, so they might be contaminated by wheat. Or they can have been processed in a mill where wheat has been milled too.